The BBC has recognised the world’s largest liquid air energy storage (LAES) technology plant near Manchester, a facility that has received automation support from Bristol based automation experts, Optimal Industrial Automation. In a new article in the Science and Environment section, the BBC has explored the cutting edge facility, which 'stores power from renewables or off-peak generation by expanding liquid air to drive a turbine'. Managed by Highview Power Storage in partnership with Viridor, the 5MW facility was built to demonstrate this technology at scale and assess the commercial viability. The LAES technology works by utilising electrical energy to liquefy air and then store it in large insulated tanks. Next, liquid air is expanded through a turbine driven generator, with energy produced then fed back into the national grid. The system is comprised of three main sections: charging, energy storage and power recovery. Synchronising these processes is critical for efficiency, so Highview Power Storage contracted Optimal Industrial Automation to integrate the systems and provide automated control for the entire facility. Such credentials ensure that the technology is essentially carbon neutral, with the only emission being Nitrogen, which comprises the vast majority of our atmosphere. Storing power is particularly useful for saving energy from renewables during peak operation, so when demand on the grid increases, additional energy can be released at the optimum time. Furthermore, such facilities can store excess power from nearby power stations, whose output change is notoriously slow and expensive to alter. At its current capacity, the demonstration plant can power up to 5,000 homes for roughly 3 hours. Mike Weeks, Automation Project Engineer at Optimal expanded: "We are proud to be involved in a project that has gained such national interest. Cryogenically freezing air to store energy is something that wouldn't be out of place in a Sci-Fi epic, but with our expertise we were able to implement a transparent integrated system with the interactivity required to make the process viable." The plant is currently in commissioning and is due to be online in the Spring 2017 where it will then operate for at least a year to demonstrate the benefits the technology offers with regards to grid balancing services. The technology is designed to be scalable, with Highview Power Storage having already designed a second plant with an estimated output of 200MW. You can read the full BBC article on the facility here. For an explanatory video on the pilot plant, please click here. 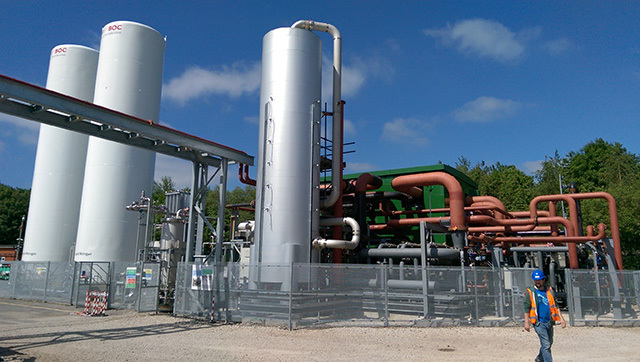 Photo 1: The LAES demonstration plant uses liquid air to drive a generator and produce electricity which is then fed back into the national grid.